I know you’re thinking, “Look, I can barely remember to eat sometimes, how do you expect me to take care of a plant?” You’re in luck because cacti probably require the least amount of care when it comes to plants, which is exactly why college students are so obsessed with them. 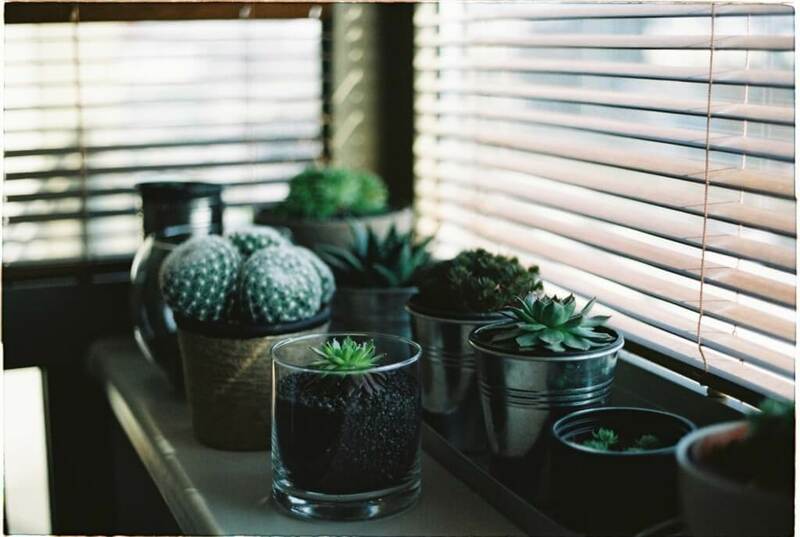 All you need is some type of pot (or really any container will do), rocks, soil and obviously, the succulent or cactus. Fill the bottom about one-third of the way with rocks, then layer on the soil and create a little hole big enough to fit your plant. Buying the materials requires a little bit of effort, but University of Florida senior Naddya Alicea recommends buying them online or stopping by any Walmart or local farmer’s market. “It’s pretty affordable and easy,” Alicea said. Once you have the materials, it’s as simple as 1, 2, 3! And if a cactus dies on your watch, I’m sorry…I don’t know how to help you. 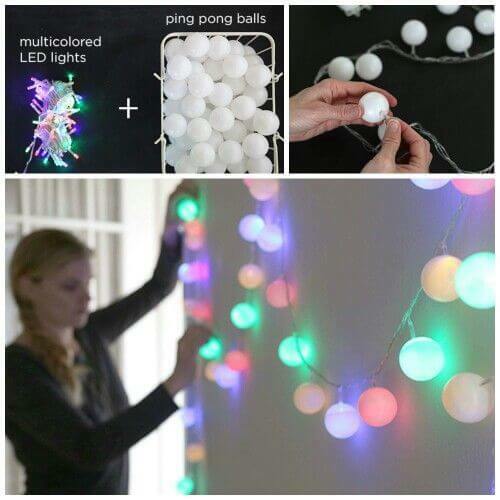 Finally, those beer pong balls you bought for that party you never had can be useful. No need to spend money on fancy “vintage lights” from Urban Outfitters. Just steal an old string of Christmas lights from your parent’s house and use an X-Acto knife, pocket knife or anything with a sharp enough point and make a small slit in the pong balls. Once you’ve made a slit, push in the lights as far as they will go. If you’re feeling super ambitious, you can paint polka-dots on the pong balls to add some style. 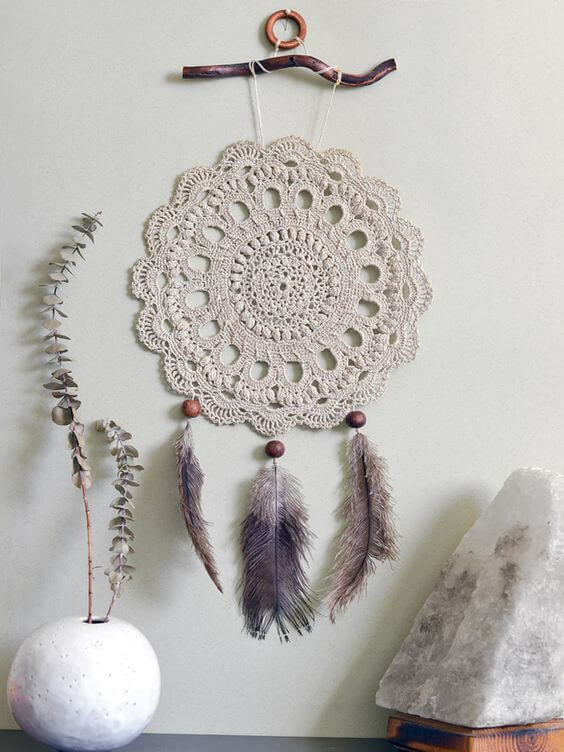 Hang them around your room to create a cozy, magical vibe. 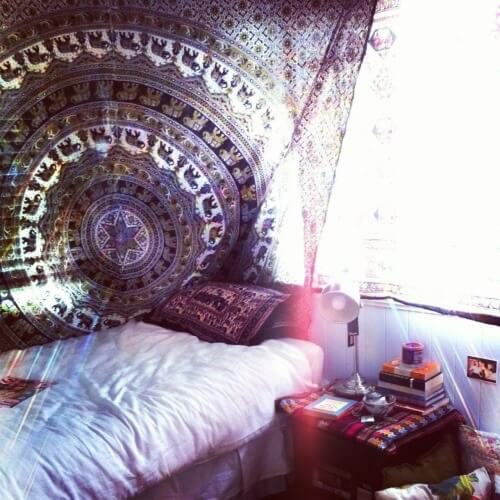 What’s a college dorm room without a tapestry, amirite? Feeling basic? Hang a tapestry on your wall. Want to impress people with how cultured you are? Hang this Pride and Prejudice tapestry by your bed while you sip your English Breakfast and discuss how Jane Austen was the OG feminist. But wait…how does one hang a tapestry on a concrete wall? (I bet you didn’t think about that one, did you?) No worries, that’s what the Internet’s for. Simply stick a command strip on the back of a and you’re good to go. Really, it’s that easy. Anybody can hit up a craft store to purchase the wooden letter of their choice. But TBH, that cardboard box your textbooks came in works just as well and shows your friends that you refuse to submit to the consumer culture. Just stencil the letter and cut it out for the same effect. 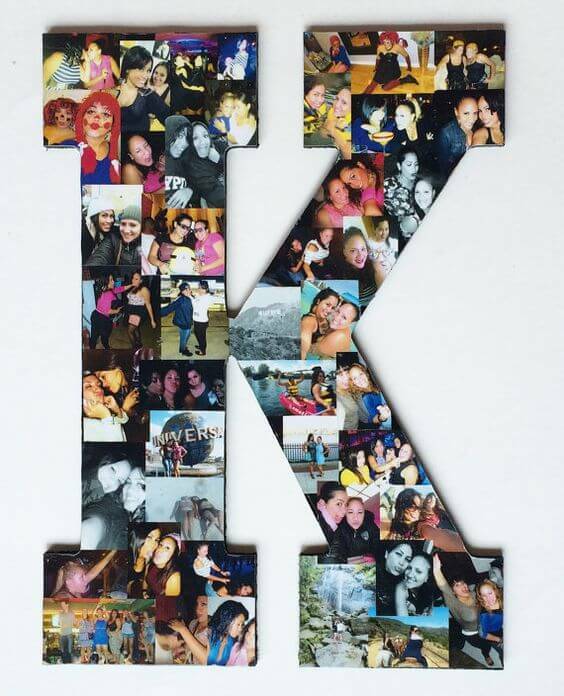 Take advantage of the ink from your campus library to print out several photos and simply glue them to the wooden or cardboard letter. You are so creative. I see you, with your nose ring, ombré hair, thick-rimmed glasses and Birkenstocks. You pull off the “I’m not a hipster even though I dress and act like one” look to a T. The only problem is that your dorm room looks more like a prison than a Free People catalogue. Oops, caught ya. It’s okay, your secret is safe with me. 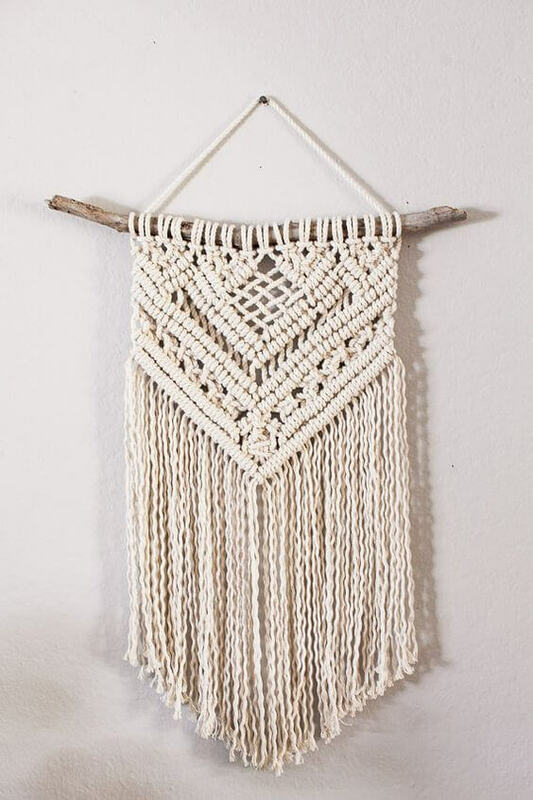 Solution: Make your own macramé wall-art by taking a stick from outside, a roll of yarn, rope or fabric and use those summer camp friendship bracelet knotting techniques. Feel free to make the knots as complicated or simple as you like. Something you don’t typically consider when planning out your dorm room decor is where you’ll stash all your pencils, highlighters, pens, make-up brushes, spare change…the list goes on. Instead of stuffing all these miscellaneous items into a crowded desk drawer, stay organized and stylish by storing them in painted Mason jars. Mason jars are already trendy on their own, but with a little bit of paint you can personalize them, match them to your comforter or even use your school’s colors. If that still isn’t artsy enough for you, who’s to say you can’t go all out? Alicea bought little pebbles for the bottom of her jars and glow-in-the-dark puffy paint. “It depends on what you want…research YouTube, [it’s] really helpful,” Alicea said. Target always stocks Mason jars, but your local thrift store probably sells them as well (and for much cheaper). Most college students don’t have hammers, nails or wooden boards casually laying around their dorm room. But that’s what Home Depot and Amazon are for. 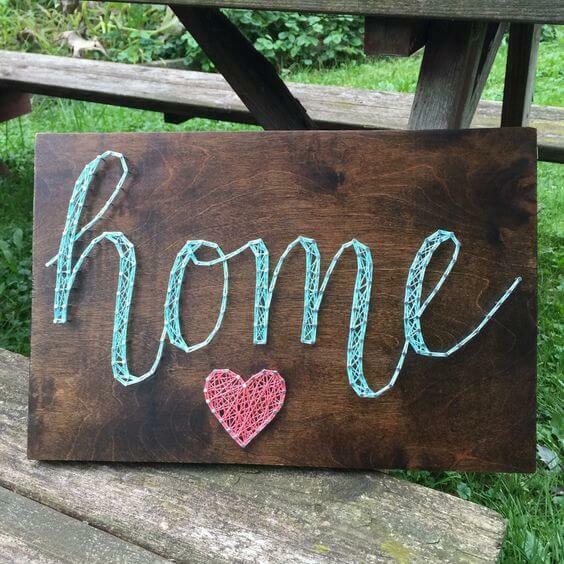 Once you buy your supplies, cut out the shape or letters of your design, outline the shape with the nails and then wrap string around and around each nail to create a pattern. Then, post a picture of your creation for all your friends to see. Step 1: Go outside. “You mean where the sun is…and people?” Yes. Step 2: Find a stick. Step 3: Hole-punch the top of several photos. Step 4: Tie a string to said photos. Step 5: Tie string of photos to stick. 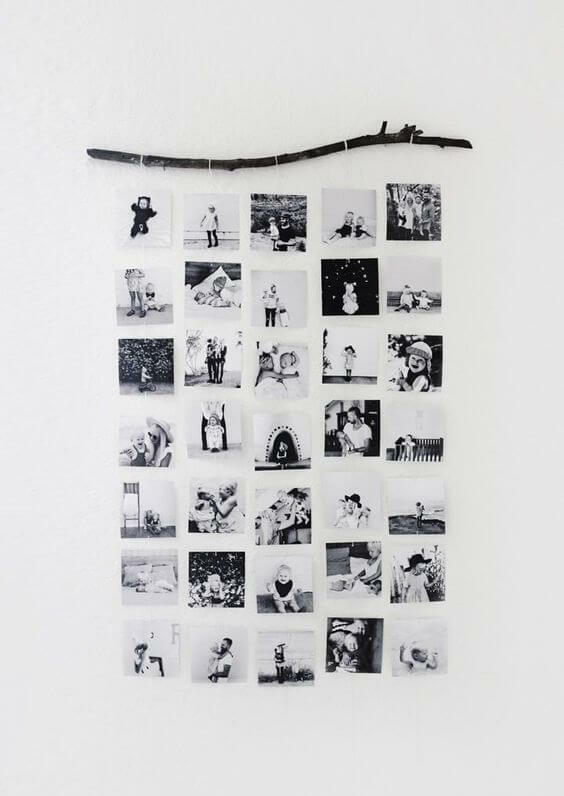 You now have a super artsy photo hanger that will make people wonder how you could have ever created such a masterpiece. You’re welcome. “Finding a new purpose for things…[is] so much more rewarding than buying [something] and more affordable to make it yourself,” Alicea said. Whoever said nightlights were only for little kids was “seriously deranged” (Legally Blonde, anyone?). If you ever find yourself stumbling into your dorm room late at night after a long…study sesh (didn’t expect that did you? ), a nightlight can come in handy. Especially if technology has failed you and your phone died on the walk home from the library i.e. : no flashlight. 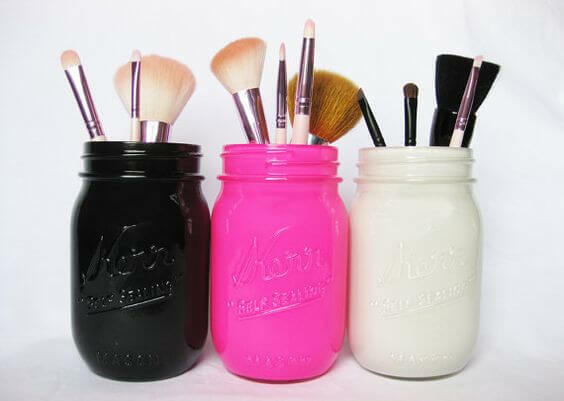 Take a small Mason jar and paint the inside with whatever color Mod Podge you like and sprinkle it with glitter if you’re feelin’ dangerous. If you’re struggling to find Mod Podge and Mason jars, here’s a pro tip: “[Stop by] Michael’s and any craft stores near you. Just use Google Maps to search up “craft stores” and judge based on the reviews,” Sanchez said. 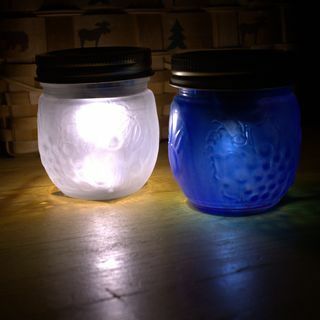 Then, glue a battery operated tea light (Amazon Prime the heck out of these) to the lid and screw the Mason jar on upside down and you have your very own, sophisticated adult nightlight.